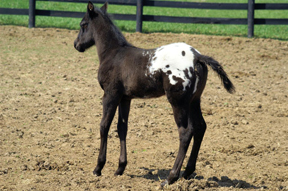 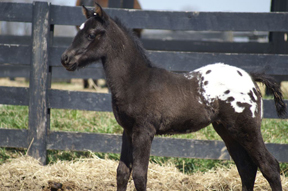 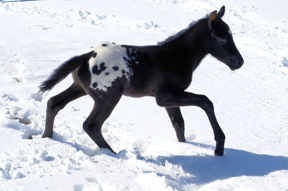 Finnegan is an athletic black and white colt born on March 18th 2008. 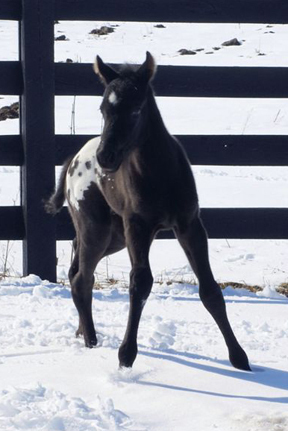 He is sired by multiple world champion stallion Mr Cool Hand Luke and out of ZMI Cinnamon Spice. 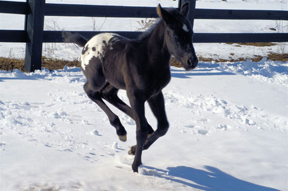 He grand-sire is 2003 World’s Best Appaloosa Zip Me Impressive, an ApHC Versatility, Club, and Supreme Champion; his grand-dam is Cloudy Agate, who has Plaudit and Strawman ancestry. 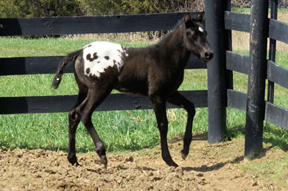 Finnegan is very friendly, a quick learner and curious, with excellent conformation.